We’d love your help. 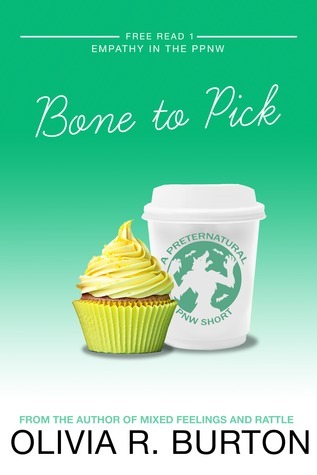 Let us know what’s wrong with this preview of Bone to Pick by Olivia R. Burton. Might as well give it a shot, Gwen figures. At least it’ll get the girl’s charred fingertips out of the can “I’m a wizard,” says the girl with the rainbow hair. Not ten seconds ago, Gwen thought eating lettuce was going to be the worst part of her day. Now there's a stranger in her office eating her chocolate and trying to pay her five hundred bucks to help steal something. To ask other readers questions about Bone to Pick, please sign up.